All readings and auditions will take place in the bar, doors open 7.00pm and start 7.30pm unless otherwise stated. Audition pieces will be available during the night of the reading. You do not have to audition if you attend the reading, come along and join in the fun...bar also open! Cunobeline: Wise King and Boudica’s friend. Late 20’s min. Badvoc: Brutal warlord and ally. Late 30’s min. 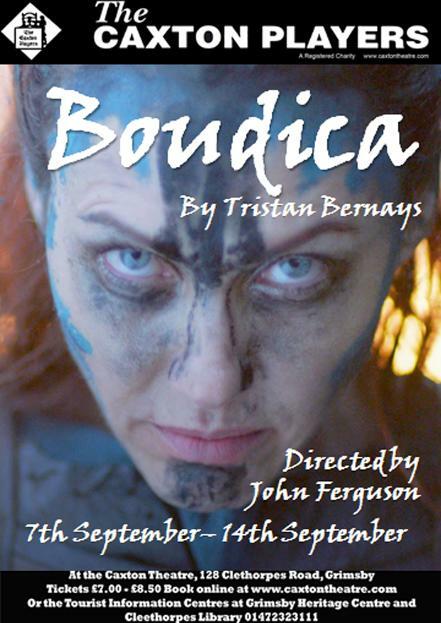 Suetonius: General tasked to defeat Boudica. Mid 20’s min. Deciamus/ Warrior: Roman soldier. Then British Soldier. Any age. Cato/ Clothen: Roman Soldier then British Warrior. Any age. Sejanus/ sestus: Roman Soldier. Then advisor to Lucius. Centurion 1, Waylen, Soldier, Belgic 1, Warrior 1.Any age. Gunnervik, Druid, Messenger, Belgic 2, Roman woman, Warrior woman. Any age. Please note, this will be a physically demanding play in terms of pace and stage combat. You don’t need experience in stage combat, nor be super fit, but be prepared for a high energy and physically demanding role when you audition. The production will run from 7th September to 14th September (excluding Sunday).